Rich, smoky flavors and aromas are currently quite popular in the culinary world. For the same reason you love the bbq smoke flavor on your meats and side dishes, you’ll enjoy it in your evening cocktail. The pre-dinner cocktail is all about the sensory experience, and making drinks using your pellet grill will only add to it! Curious how to do this at home? Here are our tips! 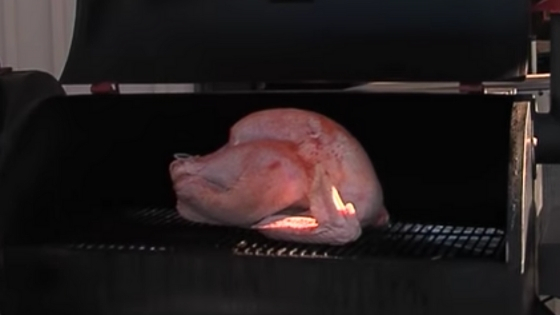 It seems counter-intuitive, but START with ice cubes in a tray on your smoker. Smoke is more attracted to cold foods than warm ones, and ice cubes have more surface area for the smoke to adhere to. Yes, you will have to re-freeze the ice into cubes – it is a quick smoke you want as much flavor as possible. A cold smoke works great for ice cubes. 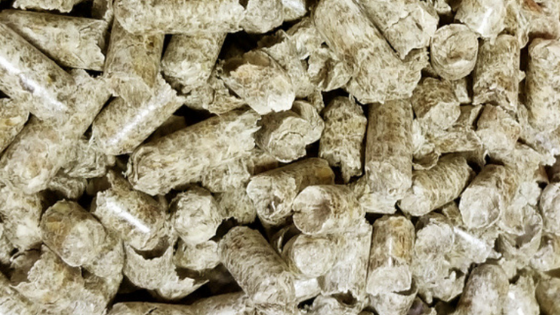 Use a smoker tube with Cookinpellets Perfect Mix, light the smoker tube and place in the pellet grill with your tray of cubes. Smoke for 45 minutes to an hour, then remove your tray of melted ice (water!) and refreeze into cubes. The smoke flavor pairs amazingly well with whiskey, scotch and bourbon. For a classic smoked cocktail for all you purists out there, top one or two smoked ice cubes with your favorite single malt scotch. Sip and enjoy! Pellet grilling the ingredients for your cocktail is another way to give your cocktail smoke flavor. Make a simple syrup on the stovetop, then place your cooled syrup on the pellet grill in a 9×13 pan. Place the pan of syrup on the pellet grill set at 180 degrees for one to two hours depending on how strong of a smoke flavor you want. Cool, then use in your favorite recipe. 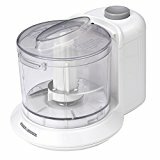 You can also fresh squeeze juices, or make an herb infused water, then place in a pan and smoke on the pellet grill in the same way as the simple syrup. 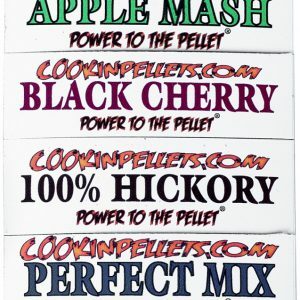 The key is to take your favorite cocktail recipe and choose a component or two to put on the pellet grill first! If you are a martini drinker, add just a touch of smoke flavor by garnishing your drink with a smoked olive or two. The smoked olives make a delicious appetizer as well – think of it as a fun pre-dinner appetizer and drink pairing! You can smoke any fruit that you enjoy as a garnish. Citrus such as lemon, lime, or orange are your traditional cocktail garnishes that do well on the pellet grill. You could even try grapefruit! Here we recommend removing the fruit and smoking the peel only – it’s a visual and texture thing, plus the oils in the peel give most of the flavor anyway. 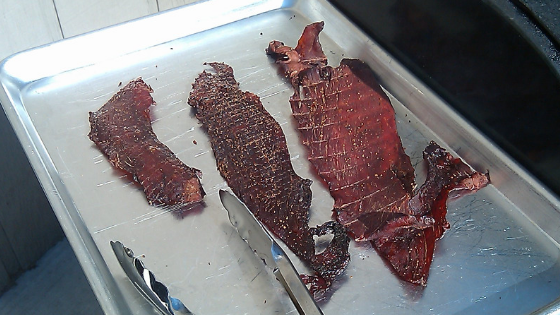 Slice into strips, and place on the smoker for a quick smoke. You could do this alongside your ice cubes! 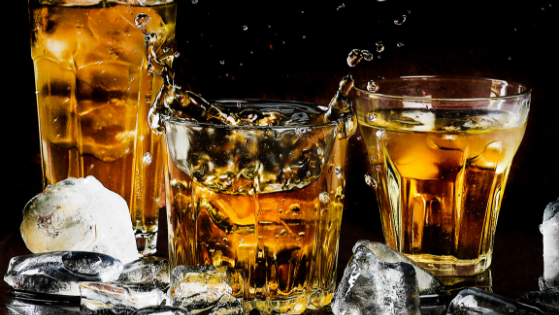 Experiment with a variety of smoke flavors as you smoke your ice cubes, drink ingredients, or garnish. 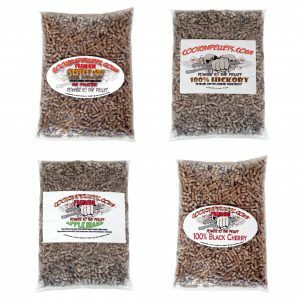 Use 100% Hickory Pellets for the strongest flavor, Perfect Mix for a great blend, or a lighter Apple Mash Pellet for just a touch of smoke flavor. Half the fun of playing bartender is experimenting, and trying out different smoke flavors will be no different! Here is a chance to really give your cocktail some personality! No one said that a cocktail stirrer or swizzle stick has to be a plastic stick! 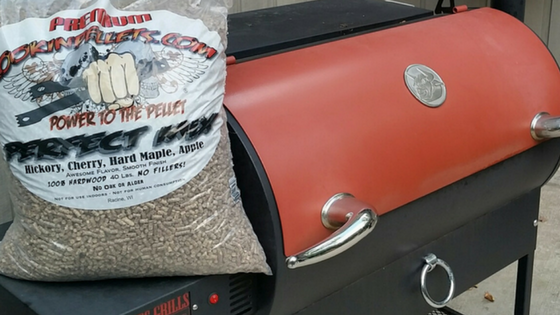 Smoke some bacon on the pellet grill or use a piece of homemade pellet grilled beef jerky, and use to stir your favorite drink. 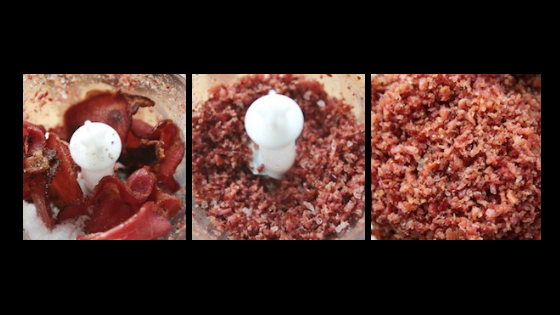 Using a piece of jerky as a swizzle stick will add just a touch of smoke flavor! Or use smoked ice cubes to make a Bloody Mary, with a smoked bacon stirrer. Delicious! 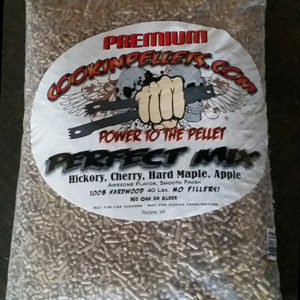 Because we’re in Wisconsin, we HAVE to leave you with a traditional Wisconsin cocktail recipe with a Cookinpellets twist! The signature WI supper club drink is an Old Fashioned – frequently brandy is used, but here we go back to basics and use your favorite whiskey or bourbon to again pair with the smoke flavor. In a rocks glass, muddle the sugar with the bitters and just a splash of water. Muddle well. Add the whiskey and stir for about 30 seconds. Add 3 smoked ice cubes and give it a quick stir. Swirl smoked orange peel around the edge of your glass then drop in for garnish.